The price is based on 2 participants. Discounts available for 3 and more participants. In this case, write us an email. For more information about the tour scroll down. Choose the best date for you. All about the 3 Days Best of Slovakia Tour. 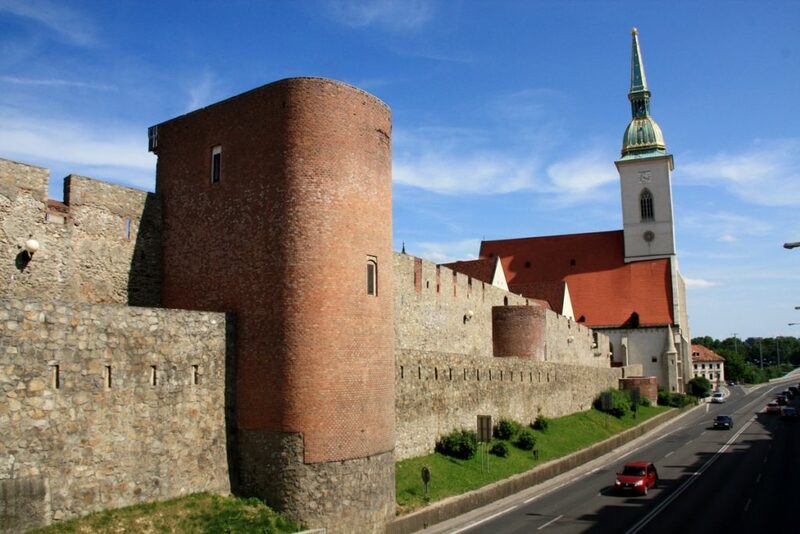 In this tour I combined the most amusing and interesting places and sites that we have in Slovakia. The sites are scattered all over the country and to see all of them, we need to travel from the west to the east and back. Fortunately, the small size of Slovakia makes it possible to visit all these sites in couple of days. 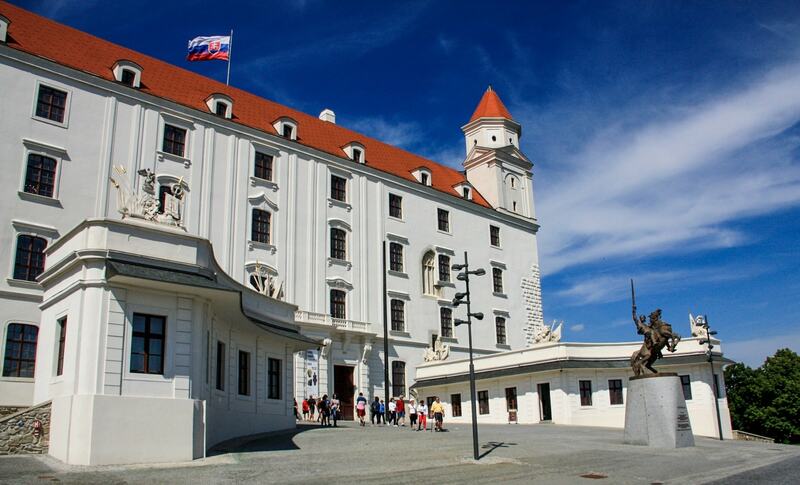 During the tour you visit the most beautiful and interesting places of Slovakia. 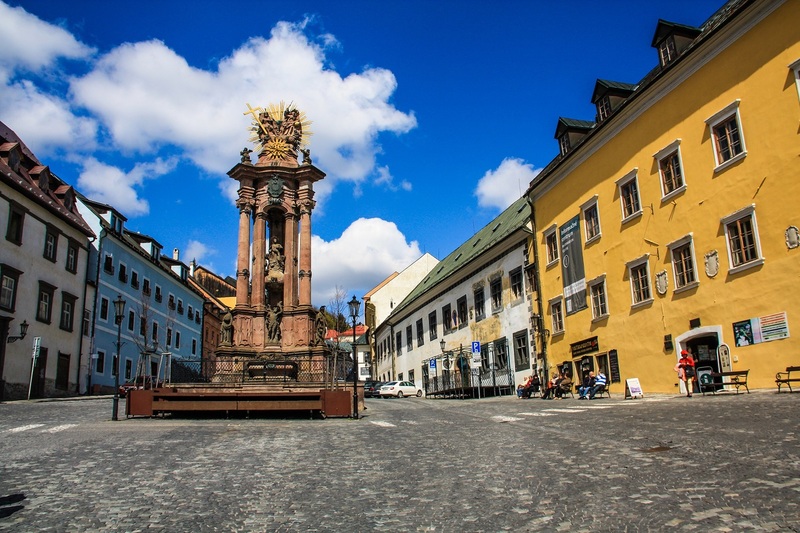 You are NOT going to miss the Old town of the capital city – Bratislava, several Slovak UNESCO World Heritage sites, such as the biggest castle of Slovakia – the Spiš castle, the medieval towns Levoča and Banska Štiavnica or well preserved traditional village – Vlkolínec. One day is also dedicated to nature. 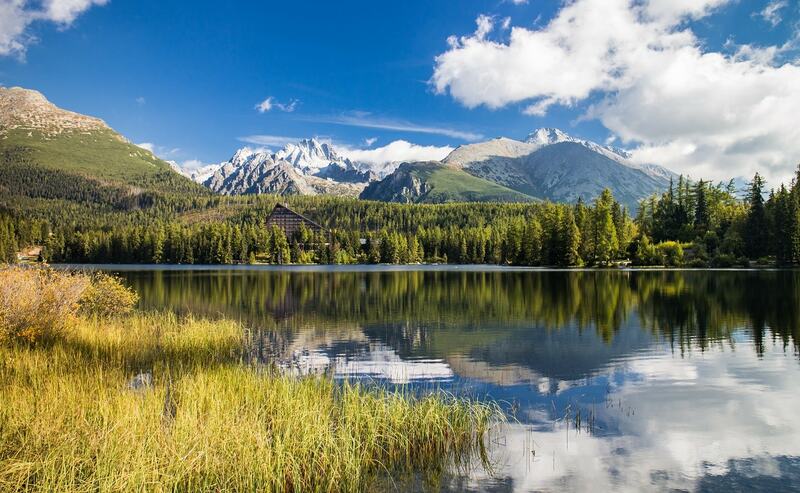 When you are visiting Slovakia, you cannot miss the opportunity to visit the most stunning mountains – the High Tatras. Depending on your wishes and weather, we will make up the right program for you in the mountains. For this tour we set several dates, but it´s also possible to make a private tour for you in a date, that is convenient for you or make the tour longer as well as shorter. In this case, please let us know your requests. NOTE: In April tour, it´s not possible to visit the Orava castle due to the reconstruction. Alternative program will be discussed with you. 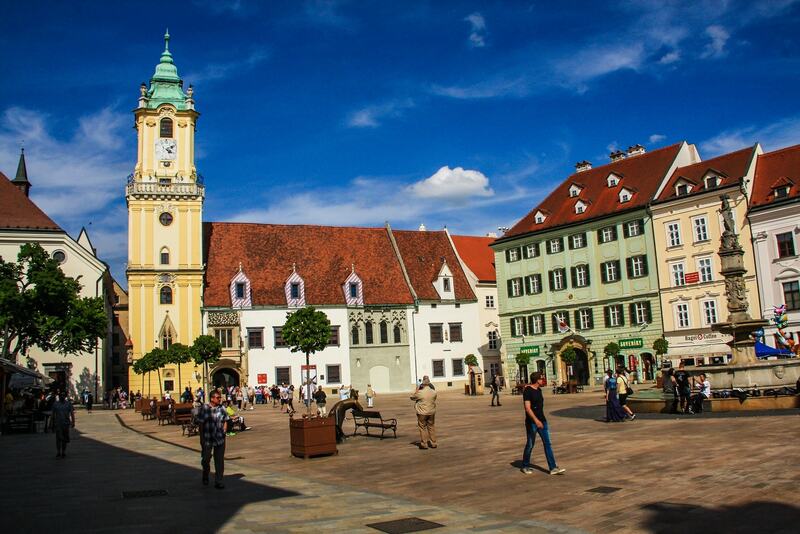 We will start the day in the capital city – Bratislava. 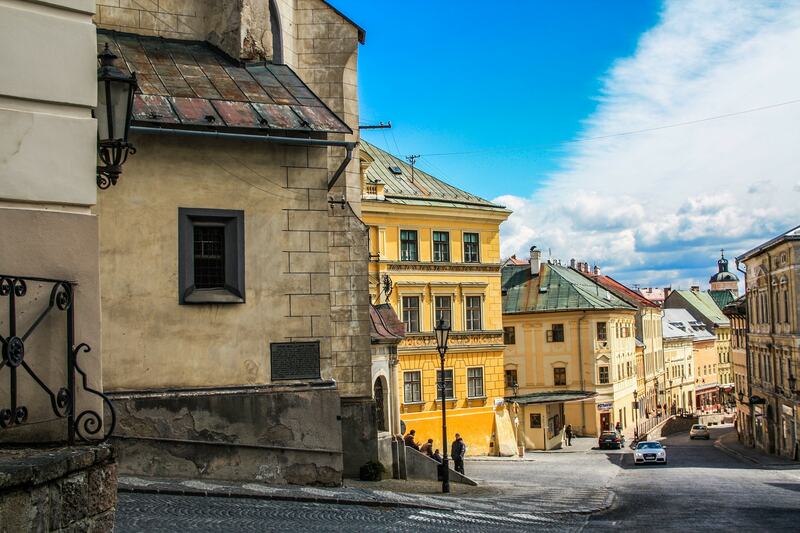 After guided walking tour through the most beautiful part – the Old Town, we will set off to the first UNESCO site on our tour – a small medieval town. I´m talking about Banská Štiavnica. Once it was a very rich town due to its mining history and was built in beautiful location. Today you´ll learn something about it. After a lunch break and walk through the town, we will drive to the area of High Tatras. On the way there we will stop in the village Vlkolinec – listed in UNESCO. Today you will have a chance to explore the High Tatras, the most famous mountains of Slovakia. We will take you for a walk around the famous Štrbske lake and ascend to the mountains with a cable car, to show you some magnificent views. Of course your wishes will be taken into consideration and the program may be adjusted. 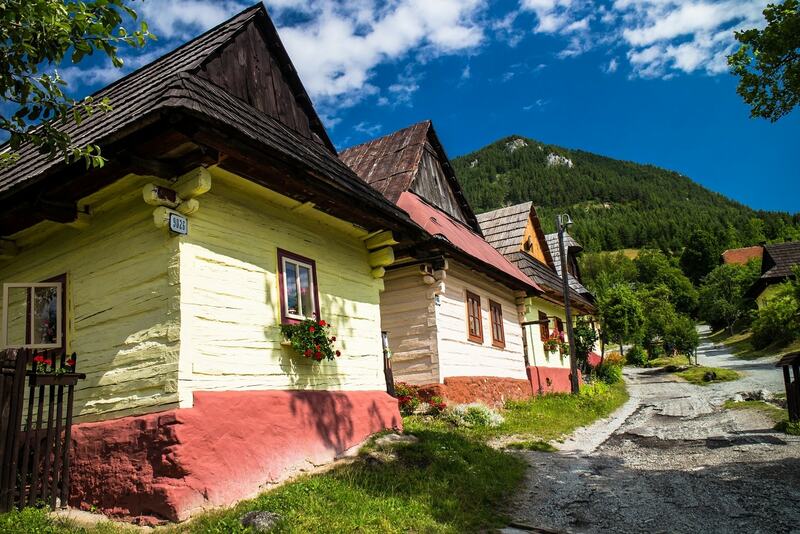 We can visit an only cave in the High Tatras or a picturesquare village Ždiar and a museum of Goral culture. Today we are going to visit places, which are all listed in UNESCO. 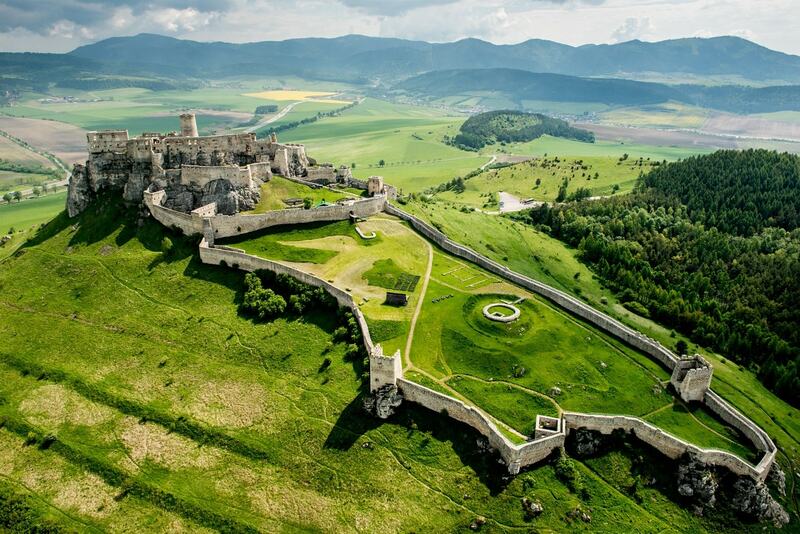 At first we will visit the biggest medieval castle of Slovakia. You will realize how big it actually is, when we walk up higher to the watch tower and you will have the best view at the whole complex. We will also visit a medieval town Levoča (part of UNESCO as well), which was home to a famous woodcarver – Master Paul. Master Paul carved a wooden altar, which you can see in the St. Jacob Church. The wooden altar is the tallest of its kind in the world. You will be staying in minimum 3* hotels or so called Pensions. Pensions are smaller hotels, usually operated by a family. We always try to find the best accommodation, based on our own experience or reviews of the customers.